My dad recently gifted us a 40ish-year-old Sunbeam Radiant Control Toaster. It's beautiful in every way that a toaster can be beautiful. 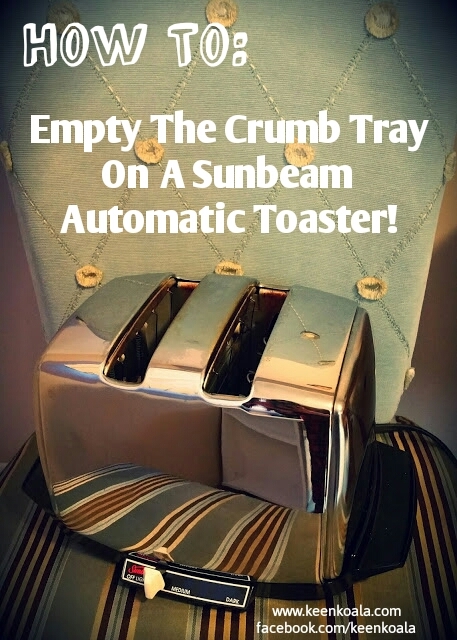 It's shiny, automatic, and makes toast. With any vintage appliance, owning one means one needs to know how to take care of it so it will provide many years of use. Cleaning out the crumb tray is a basic task that should be routinely performed to ensure proper function. 1. Unplug your toaster. Never perform any maintenance on an electric appliance when it is plugged in as that is very dangerous. 2. Turn the toaster onto its side. You will find a small lever. 3. Slide your finger under the lever and pull towards you to open the door on the crumb tray. 3. 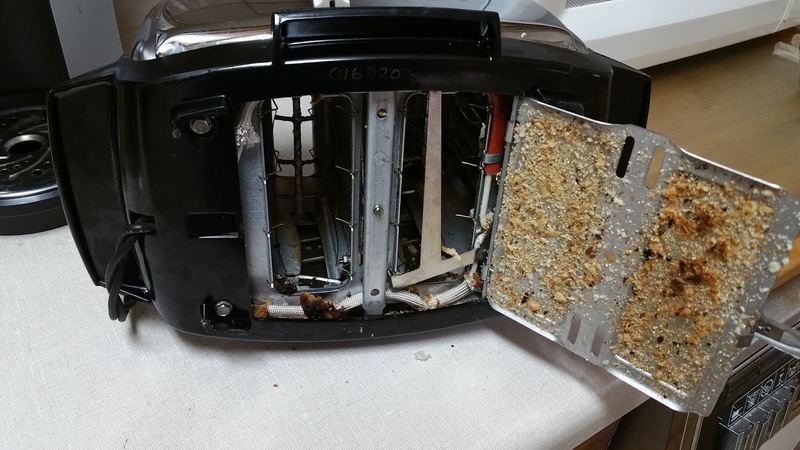 With the crumb tray open, turn your toaster upright and empty any toast debris into the garbage or compost. 4. Using your hand gently brush any remaining debris off of the door. *** Before you close the crumb tray, if you have noticed that your toaster is not working as well as it should because it's very hard to get the bread to go down, please check out this post that will teach you how to adjust the tension control knob on your Sunbeam radiant control automatic toaster by clicking HERE. 5. Close the door on the crumb tray and upright the toaster. Check the toast setting in case it moved during cleaning. 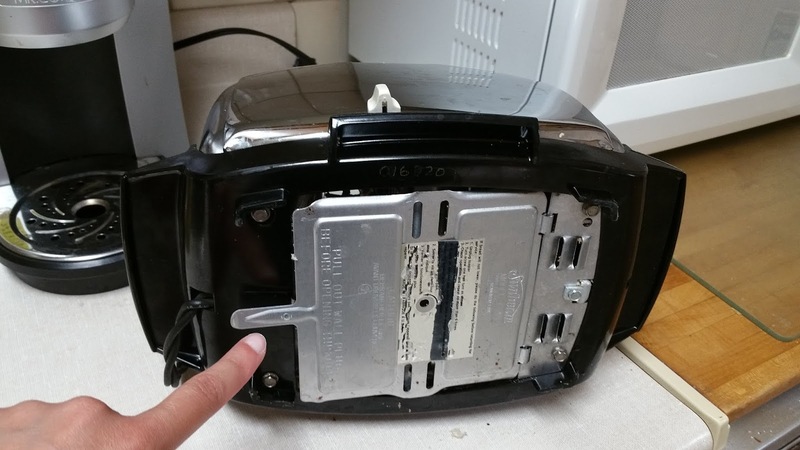 You can now plug your toaster back in and make some toast! Thanks for reading! I hope you enjoyed this tutorial. For more great tutorials like this one, exclusive content and contests, please 'LIKE' Keen Koala on Facebook by clicking HERE!